McKee Gets An Upgrade! | potatopanic! : McKee Gets An Upgrade! Asked Belle to change McKee's strings for me. It's about time anyways. I have to say I'm loving the sounds produced. 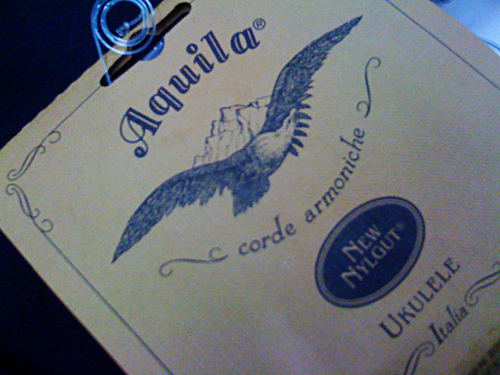 I can now put my dream of buying a new uke on hold eheh. 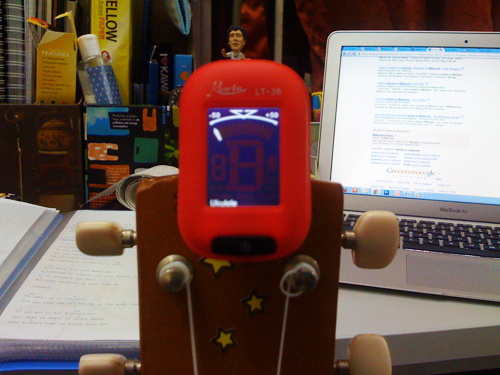 Got myself a tuner as well. 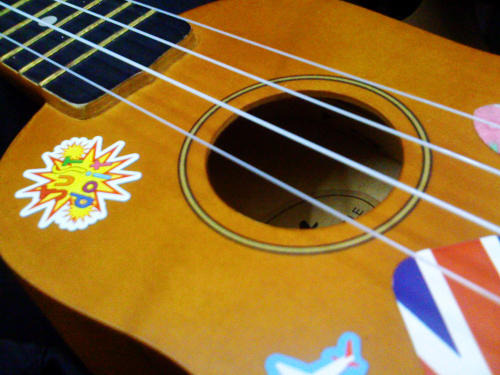 Gotta learn how to tune the uke myself lol I can't keep on pestering on Diyana/Belle to tune it for me. Oh and look at my new friend! 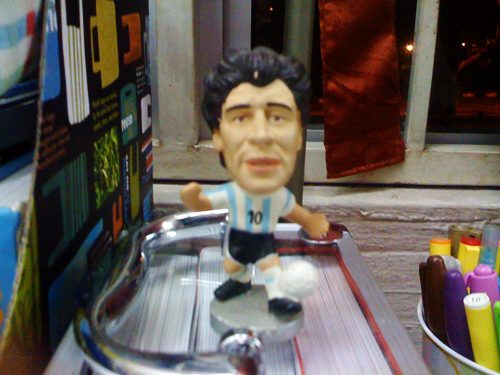 Maradona the tiny figurine. 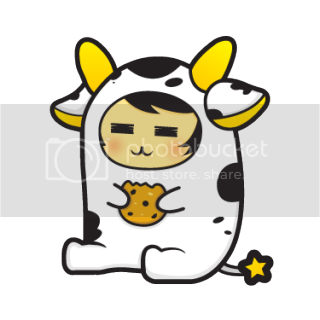 Got it as a gift from Milly. She thought this was Messi lol but no worries, I like Maradona too. P/s: Sorry for LQ pictures, have to rely on crappy camera phone cuz I left my camera at home heh.